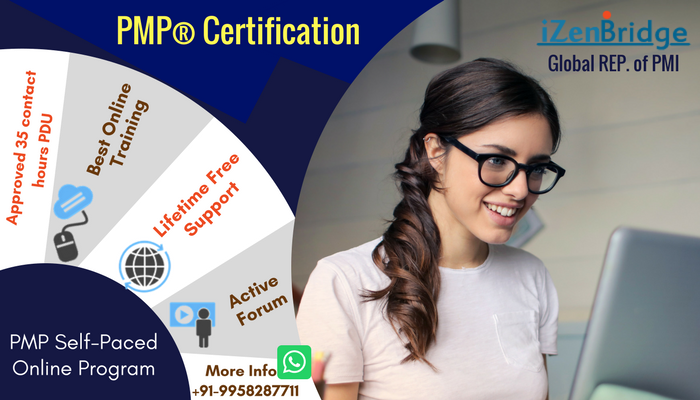 I am happy to share that I cleared PMP (PmBOK 6th Edition) on 18th Jan 2019 in my first attempt. I would like to extend a big thankyou to Team Izenbridge for their study material and mock tests, which played the key role in my exam success. I read few other posts on how people prepared, crammed, sacrificed, and payed a heavy price in order to succeed in PMP. While I agree that it is a daunting exam, physically, mentally and psychologically, it is definitely not impossible to crack! I am probably one of those few people, who prepared the very-least for PMP. I strongly believe in the fact that "it is not HOW LONG we prepare that's important... its only WHAT we learn that's important". Saket's videos are clear, crisp, easy to understand. I have heard people mention that they wrote the entire PmBOK matrix (49 processes grid) in a piece of paper before starting the exam. My approach was slightly different. I wrote down few examples that Saket mentioned in his videos, in a paper before my exam. For example, Saket had used an example of "installing desktop computers" to explain the concept of Earned Value. I wrote down the grid he used in a piece of paper, and I was able to relate every question on EV to that grid and solve easily. I followed the same approach for Critical Path & Float calculation. Like Saket emphasizes in his videos, it is not necessary to memorize the 49 processes and their ITTOs. Once we "understand" their purpose, it is easy to picture the grid in our minds. Thankyou iZenbridge (especially Saket) for making it happen!